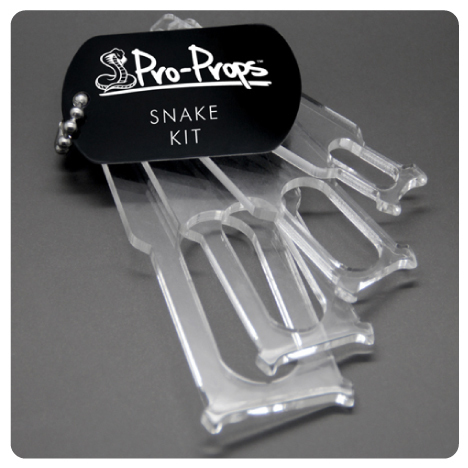 The Pro-Props Snake Kit contains 4 different sized tools that allow for easy opening and examining of a snake's mouth... no matter what their size! The shape of each prop in the Snake Kit is specially designed to allow easy insertion into the mouth. With a simple light twist the tool can be positioned to hold the mouth open. Each prop has a central hole that allows for easy visualisation of the mouth as well as allowing syringes or feeding tubes to be passed through. Includes sizes to all 4 tool sizes to cover from hatchling to adult!